Ridiculous routines, sounds, and originality in this week’s videos! 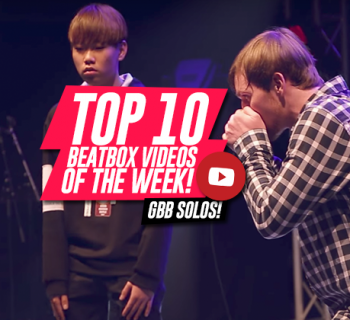 Humanbeatbox.com is back at it with another top 10 list. 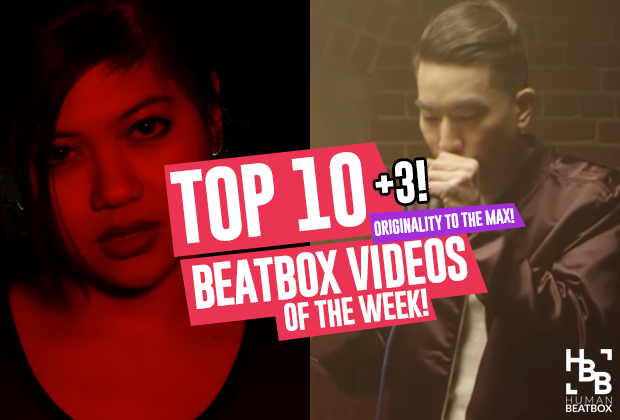 This week, we’re highlighting the incredible originality shown within our beatbox family. From TED talks, to a capella covers, and amazing sounding routines, we’ve got a jam-packed lineup of videos for you guys. Oh and since we’ve got so many great videos coming in this week, we’ve added three more for good measure. Let’s get started! 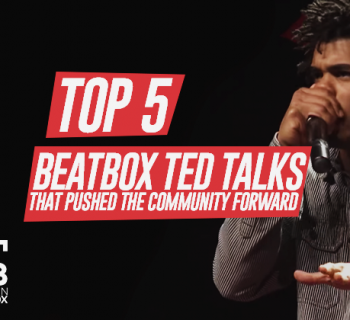 The Beatbox Collective is really stepping it up this year by hosting one of the most successful UK Beatbox Championships and working on a wide range of sets like this TEDx talk. Although the talk itself was designed for a younger audience, the points they bring up ring so true. The idea that anyone can beatbox is empowering - helping kids understand that they’re capable of anything they put their minds to. This video brought up some really fond memories of me sitting in my room watching every single beatbox video out there and wanting to be a part of the community so bad. There were so many iconic jams, especially on Swissbeatbox that I particularly enjoyed. Nonetheless - this was genuinely just so fun to watch and a great example of what our community is like. There are loads of ocarina covers out there, but this one really stands out above the rest - maybe it’s just my love for Pokemon. David Erick Ramos performs this dope cover of the Gladion Battle Theme in style. Well worth the watch! Samy Try’x is back’x at it with the French finesse’x! We’ve always been huge fans of his clean style’x and we’re really rooting for him for this year’s French Beatbox Championships’x! We’re absolutely loving the fact that Alem is really stepping up his video content! This time, he’s beatboxing to the original Pokemon games like a true World Champion. We had the amazing opportunity to go watch the Canadian Champs live this year and Elisii was one of our favorite beatboxers to make it up to the top! Watch out for this guy, because he's going to make it big real soon. The American Beatbox Championship coverage continues! We especially enjoyed this battle between Komodo and Bloomer, a wonderkid/underdog against one of the favorites to take the 2016 American Championship. This was just a blast to watch! This battle is a testament to the vibrant UK beatbox scene as the two brightest talent from the UK battle it out in the under-18 final. This could’ve easily been a full-on national championship! We’re putting this one on repeat. Azel from Italy brings it all out with his latest shoutout, Nightmare. The title is fitting, really, because anyone who is planning to go up against this kid is up for a rough night. This was the most successful first-day release ever on Beatbox Television - a true testament to this dope video! Level up! Azel will also be doing a livestream with us on Facebook. Keep updated here! If you aren’t subscribed, go do that right now, because Marcus Veltri is pushing beatbox to another level. It’s one thing to beatbox while playing an instrument, but it’s another playing it as well as Marcus does. This is one of our favorite pieces by Marcus, right behind Echoes. Top notch stuff! Go check it out - you won’t be disappointed. This is straight fire. Track IX just dropped one of the hottest a capella covers of the year. In this cover of Lorde's hit song, "Yellow Flicker Beat," Track IX throws in a dash of her musical genius by covering the popular electronic song with just her beatboxing and stunning voice. We've watched this five times already - so sit back and enjoy this one. You won't be disappointed. Be sure to subscribe and show her some love! This is going down as one of the best original beatbox compositions. It's matching up with the likes of 'Jigsaw' and 'Everyday You're In My Mind.' The thoughtfulness and the musicality in this one is just a joy to behold. 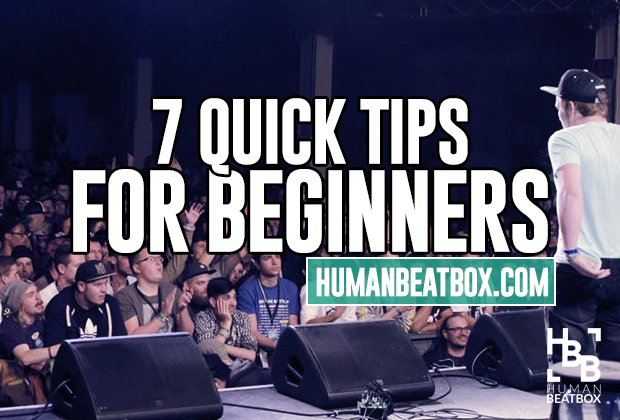 Truly five minutes of pure beatbox goodness! KRNFX is boldly leading the frontlines of beatbox - going down as one of the most innovative and influential beatboxers of our generation - along with Beardyman and Reeps One. The pieces he's been releasing continue to get better and better and we at HBB are loving every moment of it. Keep doing you, Terry, you're making us proud! 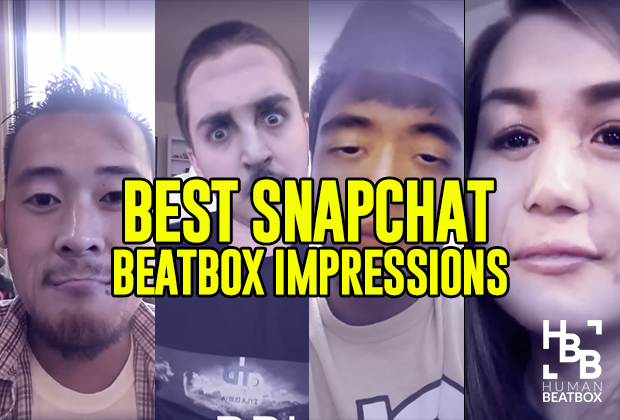 From us: join the 2016 Online Beatbox Battles! And if you haven't had the chance to watch it already, we're super excited to announce the very first Online Beatbox Battles, giving everyone the opportunity to become the very first online beatbox world champion! Click here for more details - entries end on Dec 14! New Rules! | Top 10 Videos of The Week!